It was warm, the Wi-Fi was decent, there's a gathering place with a kitchen, there is free parking for 2-3 cars, overall good value for money. The small walk to go to city center. Garden and swimming pool. The vilidge Bojency is lovely and the lady Яна who look after the houses was very nice maked us special breakfast in the morning. Owners kindly brought our luggage up the hill with their car on arrival and departure. Тишина и спокойствие. Усещане за пътуване във времето. Вечерните часове пред горящата камина /огнището/ изключително приятно и зареждащо. Страхотно преживяване за цялата ни фамилия. Отвън къщата е много красива и местоположението е супер. Посрещнаха ни много любезно, въпреки късния час на пристигане. Стаята отговаряше точно на снимките от сайта. Чистота. Всеки ден смяна на кърпите и почистване на стаята и общите помещение. Прекрасен изглед от терасата. Мястото , къщата са уникални истински това , че предлагаха басейн беше великолепно . За семейства е идеално , а въздуха , тишината , природата са като в рай. Пренасяш се 150 години назад във времето. Dzhelepova Guest House- Pool Access This rating is a reflection of how the property compares to the industry standard when it comes to price, facilities and services available. It's based on a self-evaluation by the property. Use this rating to help choose your stay! One of our best sellers in Bozhentsi! Offering a peaceful rural location, this picturesque guest house is set in a traditional Bozhentsi-style house, 8.1 mi from Gabrovo. All rustic-style rooms come with cable TV and a private bathroom. Dzhelepova Guest House features a free of charge small outdoor pool in the summer. The colorful garden is furnished with a table and chairs. There is also a communal barbecue. A rich breakfast is served daily at a sister guest house, 50 feet away. Back at the Dzhelepova, you will find a shared kitchen with fireplace and oven where you can prepare your own meals. Buses to Gabrovo stop in Bozhentsi, 1,300 feet away. 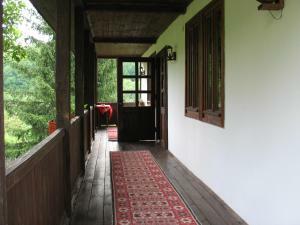 The guest house is 5 mi from Diranovsky Monastery and the Bacho Kiro Cave. When would you like to stay at Dzhelepova Guest House- Pool Access? All rustic-style rooms have simple furnishings, cable TV and a private bathroom. This holiday home has a cable TV. House Rules Dzhelepova Guest House- Pool Access takes special requests – add in the next step! Dzhelepova Guest House- Pool Access accepts these cards and reserves the right to temporarily hold an amount prior to arrival. Please let Dzhelepova Guest House know your expected arrival time in advance. You can use the Special Requests box when booking or contact the property. Please inform Dzhelepova Guest House- Pool Access of your expected arrival time in advance. You can use the Special Requests box when booking, or contact the property directly using the contact details in your confirmation. The double bed was not comfortable. And 1 small bathroom. The pool wasn't clean and we're not able to use it. 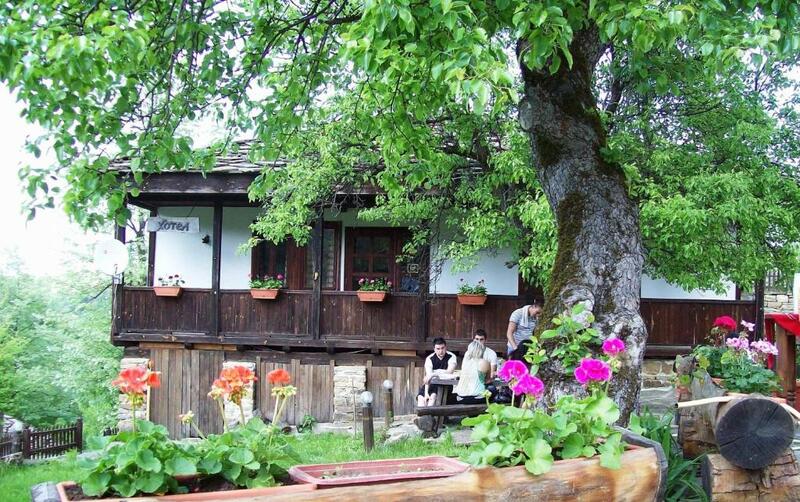 Please if you value your time with family or friends do not stay in Dzhelepova Guest House . We stay there for 3 nights , during the night you can hear the rats running about under the flour boards. On the hottest day without any reason they closed the swimming pool . The manager Galq was so rude and ignorant when I try to question her for the reason , she slam the phone during our conversation . Try to complain at the main office , however they ignore me too. The property and the area around need a lot of maitenance. Broken plactic chairs , dirty sun lounger , loose paving and in really bad condition garden furniture . No pool use for the first two days due to chemical treatment. Wasps in one bedroom stung one of our children so moved room. Rats in roof space kept some of us awake most nights. We saw one dying and one live rat outside, but not inside. A dead animal in the roof space was dropping maggots onto one bed. Even after it was removed there was still debris coming down from the ceiling for several days. Several leaks in the house during heavy rain. Internet worked only 60% of the time. The Dzhelepova Guest House was double booked so we were asked to stay in another house - "the best house in the village" as we were kindly reminded several times. Sharlopova Guest House appeared to be a truly overrated, badly maintained place. Broken dishwasher, broken corkscrew, dirty glasses, knives and forks, dirty fridge, leaky coffee cups, clogged drains in two of the three bathrooms, no toilet paper in one of the bathrooms (there's no shop where you can buy some), broken night lamp, missing light bulbs of other (night) lamps etc. etc. We tried to have a conversation with the woman who takes care of the houses because we thought this would be a useful feedback for her. She behaved really childish, first checked every single room and cabinet in the house where our luggage already was stored without even asking if she may do it. After realising all this wasn't fabricated by some spoiled tourists she left the house offended (like a real child) and avoided every communication with us until the end of our stay. The bathroom could have been a bit cleaner.